“The design of this armchair is the outcome of the experiences I achieved since I started designing restaurants. 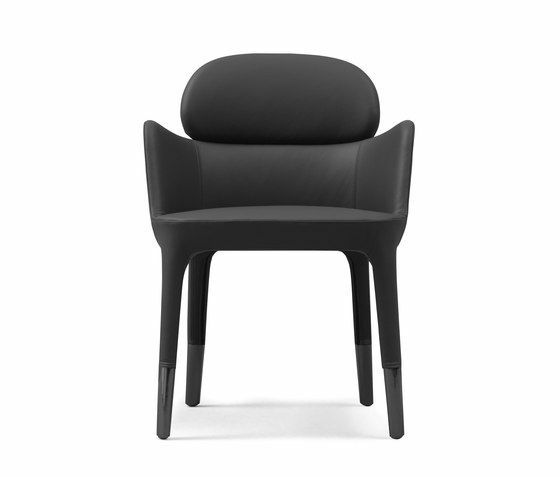 Ester armchair is a mix of elegance, ergonomics and functionality. The care for details is everywhere. The result is a precious monolith made of leather with the refined die-casted aluminum legs”. Materials and Technologies: steel frame with elastic belts, fire retardant injected foam, die-casted aluminium legs. Finishes: upholstered with genuine leather or fire retardant fabric. Aluminium legs: brushed aluminium, brushed bronze or glossy black nickel finishes.